Following the Idlib agreement, Turkish focus in Syria has been shifted towards Manbij and the east of the Euphrates River. President Erdoğan signalled this by saying “We will construct new safe zones in YPG-held areas” following the signing of the Sochi Accord. There are two reasons why Turkey is moving towards the east of the Euphrates. The first is that by resolving, or at least postponing the Idlib issue, Turkey have become freer in combating the YPG. The second is the convergence between Turkish and Russian positions on the removal of the current structure in the east of the Euphrates. At Sochi, not only Erdoğan, but also Russian Foreign Minister Lavrov said “The main threat to the unity of Syria comes from the east bank of the Euphrates that is under US control.” In fact, this was the first time Russia began to adopt a changing stance on the YPG zone. Thatmeans that having managed to come to an agreement on Idlib, which was the weakest link in Turkish-Russian cooperation in Syria, Turkey and Russia now have a broader scope for cooperation. In that context, Turkey has begun to increase pressure on the east of the Euphrates from October 28th 2018 onwards, following the Istanbul Summit. The Turkish Armed Forces (TSK) targeted YPG positions in the villages of Zur Makar, Eshme and Charikli in Ayn al-Arab (Kobane). This was followed on October 30th by positions in Ayn al-Arab, the attached village of Selim and Tell Abyad. Around the same time, videos were shared on social media showing that some elements of Euphrates Shield were preparing for an operation to the east of the Euphrates. The TSK carried out its most intensive offensive on October 31st, targeting central Tell Abyad, the villages of Selip Kiran, Til Fender, Susik and Yabise attached to Tell Abyad and some settlements in Ayn al-Arab. The TSK continued to hit the same settlements on following days. A total of 16 YPG militants were killed in these attacks. In order to prevent Turkey’s military moves, the YPG announced that it had ended its anti-ISIS operations in the Deir ez-Zor region and thereby sent a message to the USA. Meanwhile, the TSK and US forces began to carry out joint patrols in Manbij from November 1st onwards. Consequently, the TSK entered the village of Umm Al Julud and took control of the Sheikh Sitef position. However, the YPG’s blackmailing of the USA using ISIS paid off and at the same time as the TSK and US troops were jointly patrolling Manbij, soldiers and armoured vehicles of the US army jointly patrolled with the YPG in central Ayn al-Arab. While the USA tried to prevent artillery fire from the TSK with this move, Turkey targeted Tell Abyad In November 3rd 2018. Based on this development, US troops began patrolling in Tell Abyad. In November 5th 2018, elements of the US army carried out a joint patrol with YPG elements in Derbesiye, to the west of Qamishli. At the same time, the TSK and US troops carried out their second and third rounds of joint patrol duty. After a week of pause, the TSK began to occasionally target Tel Abyad, Ayn al-Arab and Derbesiye from November 15th onwards. 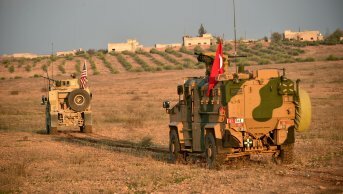 From its perspective, the USA has been taking steps to calm down both Turkey and the YPG, but for Turkey the joint US patrols with the YPG have made the joint mission in Manbij to lose all meanings. 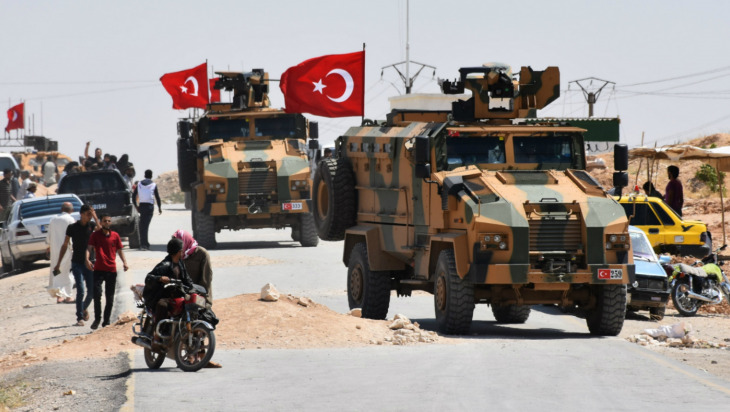 In parallel to these developments, it was released in the press that the TSK had deployed 1,200 FSA fighters from the Operation Euphrates Shield zone to Akçakale, which is on the Turkish side of the border from Tell Abyad. In November 4th, elements of the Turkish army began to deploy across the border from Syria’s Ras Al-Ayn (Sere Kaniye) district. While military steps and counter-steps were played out between Turkey and the USA at an increasing pace, diplomatic channels remained open. The US side began to make moves to appease Turkey. In addition to the joint patrols, the USA announced that it was placing a total reward of USD 12 million for aid in the capture of Cemil Bayık, Murat Karayılan and Duran Kalkan, three top names of the PKK. At the same time, officials from the Turkish Ministry of Foreign Affairs carried out meetings with US officials over Syria. That the USA has put up a reward for the capture of the three PKK leaders serves a number of ends. The USA’s first aim is to reduce Turkish pressure on the east of the Euphrates. Secondly, the USA intends to signal that it differentiates between the PKK and the YPG and that it is at Turkey’s side for fighting the PKK. Thirdly, the USA has shown a sign of its strategy that will be applied regarding the YPG from now on. The strategy will include the separation of the PKK and the YPG, the weakening of old cadres within the PKK and increase the Syrian wing of the PKK, that is the YPG. It might be expected that the USA will support Turkey against PKK presence and members in Qandil, but on the other side it try to force Turkey to accept the presence of the YPG. It is worth to mention that the PKK’s Qandil cadre has a close connection with Iran. The PKK’s top name Cemil Bayık is known to be especially close with Iran. The USA’s latest move may be seen as an initiative aimed at detaching the PKK from Iran and to take it under its own influence. On the other hand, from the perspective of Turkey, this strategy is not only unacceptable but also causes pushback. In Turkey’s perception, there is no chance of success in detaching the YPG from the PKK, as it is impossible for the two organizations to separate. Turkey has viewed the US move as an attempt at having the YPG accepted and Turkey being forced to agree to the formation of a new structure in northern Syria in exchange for certain compromises on the PKK’s Qandil cadre. 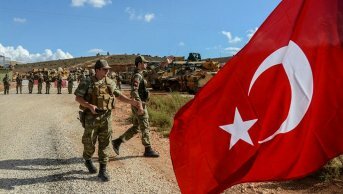 Turkey is aware that because of US troop presence to the east of the Euphrates, an operation such as Euphrates Shield or that conducted in Afrin is impossible or that its cost would be too high. Nevertheless, Turkey thinks that the terrain and time are working in its favor and aims at increasing its troop presence along its border with the east of the Euphrates at every opportunity. Turkey’s ultimate objective might be the formation of 20 to 30 kilometer deep safe zone under the control of the TSK and free from YPG elements, stretching from the eastern bank of the Euphrates to the Iraqi border. As part of this strategy, Turkey may seize appropriate moments to seize some strategic high ground along the border, to establish military positions and to deploy heavy weapons. 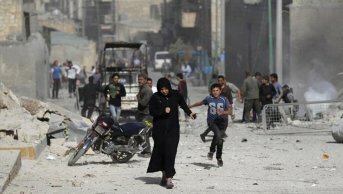 The most important leg of this strategy is the capture of the town of Tell Abyad. It can be seen that the TSK is preparing for a move on Tell Abyad. The flying of aircraft over the town, the deployment of 1,200 FSA fighters across the border from Tell Abyad, and demonstrations by Syrians in Akçakale demanding a TSK and FSA operation against Tell Abyad are all indicators of this. Tell Abyad appears to be the most suitable town for launching an intervention against, as it is a mainly Arab town with a pro-FSA population, that it is right on the border and does not contain US troop presence. Furthermore, Tell Abyad has geopolitical significance, as it completes the line between Ayn al-Arab and Qamishli and is Turkey’s entry to Raqqa. Thus, if Tell Abyad is under the control of the opposition that would put an end to the long-term geographical integrity of the YPG regions. In the same vein, the increase of Turkey’s military in the east of the Euphrates has pressured the United States to take new measures. As a first step, the US Defence Secretary Mattis said, "the US will set up observation points in Syria on the border with Turkey" and the US military has begun to take concrete steps in this regard. That the US will establish observation points in some settlements, namely Ayn al-Arab, Tell Abyad, Ras al-Ayn, Qamishli, Amuda, Darbasiyah and Derik, and the US troops even plan to carry out joint patrolling with the YPG militias has been reported in the press. The US has stated that the purpose of establishing these observation points is “to avoid any threat towards Turkey." However, it is clear that the real reason behind this step is to prevent a possible military operation by Turkey. In that respect, Turkey follows two different methods that support and are conducted in parallel with each other with a view to eliminate the security threat in the east of the Euphrates. Turkey seeks primarily and, if possible, to solve the problem in the east of the Euphrates through diplomatic means. In the other words, Turkey continues to negotiate with the US for the purpose of implementing the Manbij roadmap signed with the United States in the east of the Euphrates. 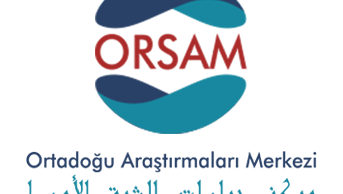 At the same time, Turkey persistently stresses that the military intervention is still an option. 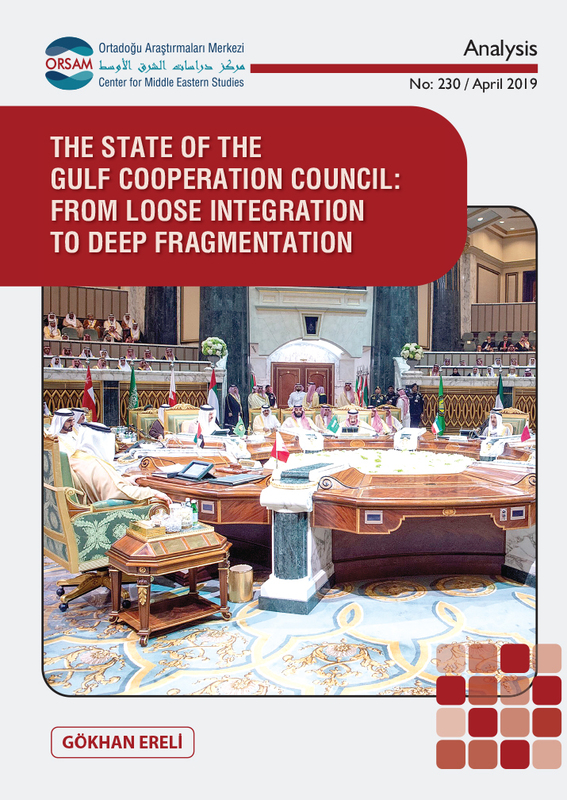 However, it is estimated that this option may be pretty costly due to the US military presence in the region. Therefore, Turkish assertion that a military operation in the east of the Euphrates is forthcoming and Turkish attacks on YPG targets in the east of the Euphrates from time to time aim at strengthening Turkey’s position at the negotiation table. Nevertheless, Turkey may gradually increase the military measures and pressure if it fails to get results in diplomatic sphere. Although a comprehensive operation such as the Euphrates Shield or Afrin operations is unlikely, an approach based on the control of some strategic points on the borderlines can be developed.